Integrated system designed to optimise main engine propulsion efficiency and deliver bunker savings. 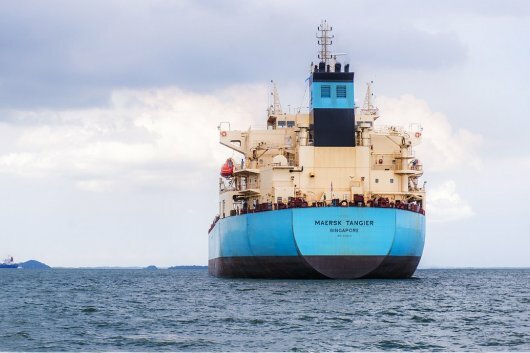 Technology group Wartsila says it will be delivering fuel savings to Maersk Tankers with the supply of its newly updated propulsion control and automation system for six of the shipper's LR2 newbuilds. The Wartsila Nacos Platinum automation package is a fully integrated system designed to optimise main engine propulsion efficiency to deliver fuel savings and lower operational costs. The energy saving features include power management, and logic for cargo overview and remote control. The Nacos Platinum system represents a combination of control systems for navigation, automation and dynamic positioning, as well as power and propulsion. By integrating all these functions into a single system, the vessel can be navigated, controlled and monitored from various onboard positions. The updated system features fewer parts than earlier versions as well as console mounting possibility. Wartsila is scheduled to deliver the equipment to the yard in line with the newbuilding programme at the Dalian Shipbuilding yard in China. The plan is to deliver the vessels over a period of two years, with the first vessels entering the fleet in 2020. "Reliability, state-of-the-art technology, full lifecycle support, and a lower cost of ownership; these are the defining reasons for the success of Wartsila propulsion control systems. We are, of course, extremely proud that these modern vessels will feature Wartsila solutions," remarked Kjeld Dittmann, Managing Director, Wartsila Lyngso Marine A/S.